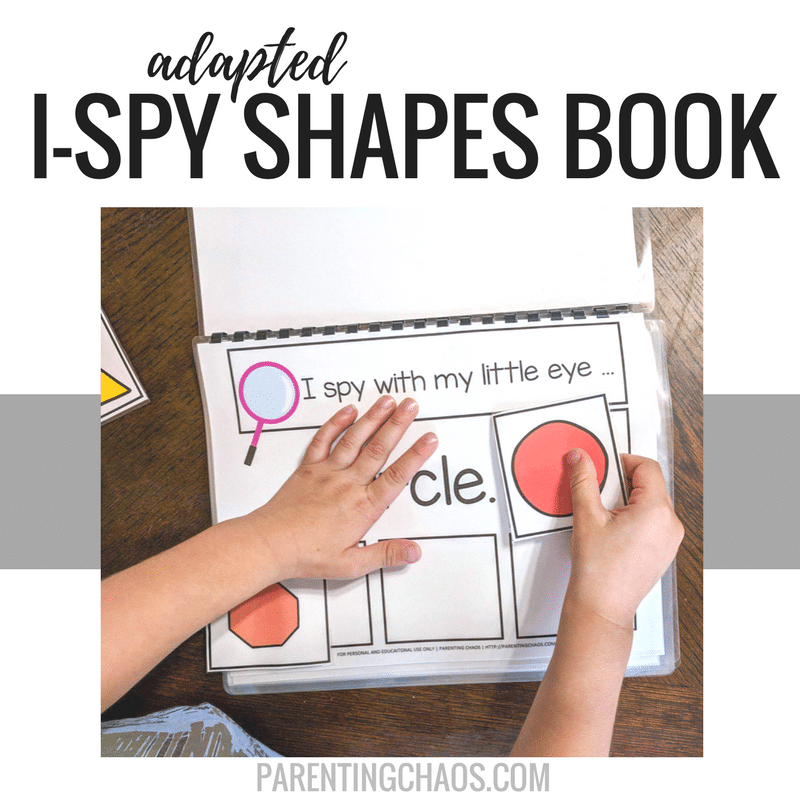 I Spy with my little eye shapes! 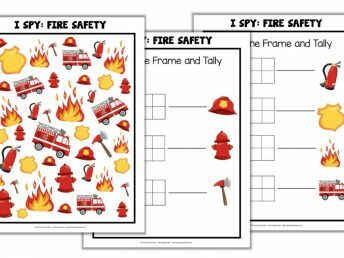 My kids love I Spy Games. 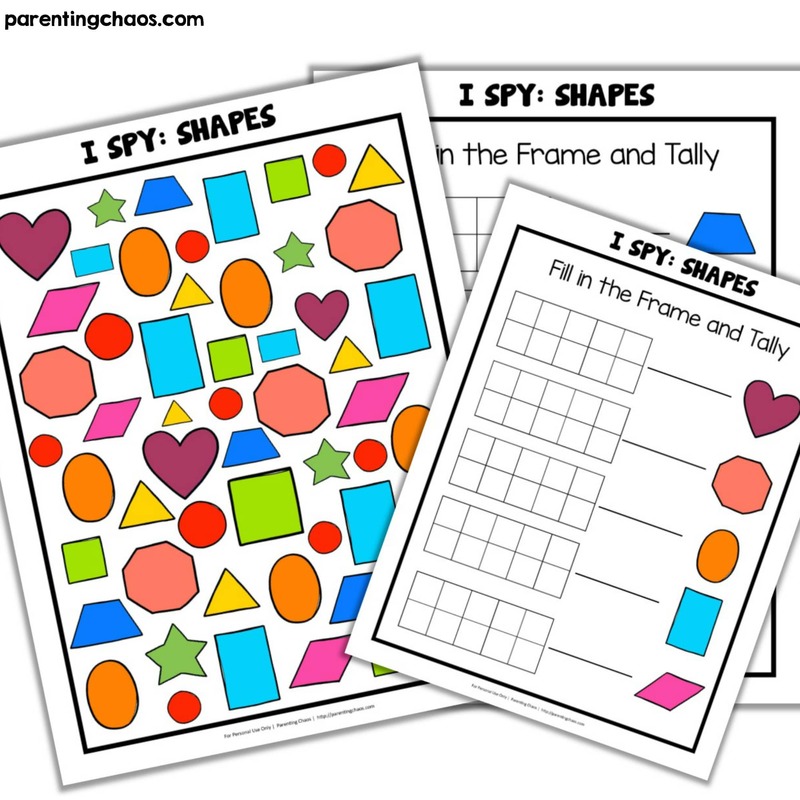 Today we are sharing a fun I Spy Shapes printable game. Literacy: When a child has the ability to recognize the different features of different shapes it helps them apply that same skill into recognizing the different features of letters. Writing with shapes also helps children learn the concept that writing represents something. Fine Motor: The ability to recognize the different features of shapes and draw them out helps a child learn how to manipulate a writing utensil. 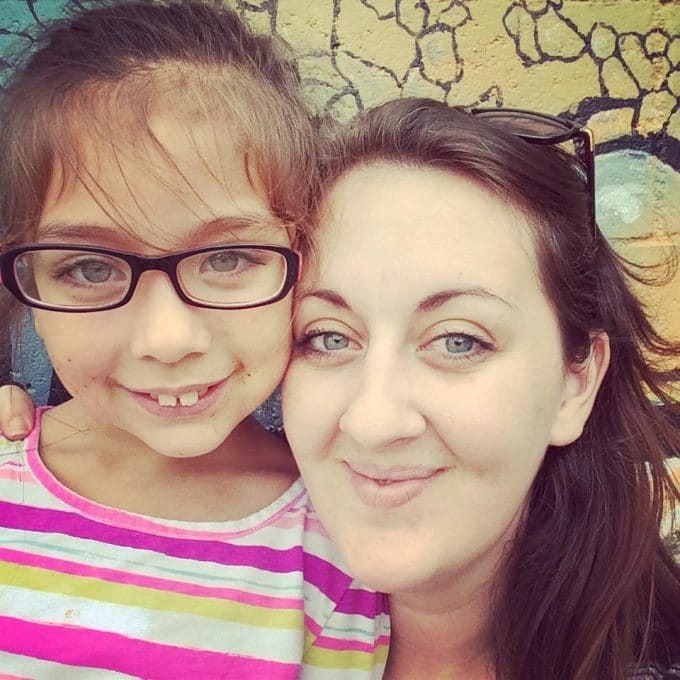 Sorting and Classifying: As your child learns shapes they are learning one of the most basic educational processes that they will need throughout their life – the ability to observe same and different. This ability will help your child observe, compare, and discuss what they experience. Teaching shapes is a vital part of an early childhood education for these reasons and so many more. 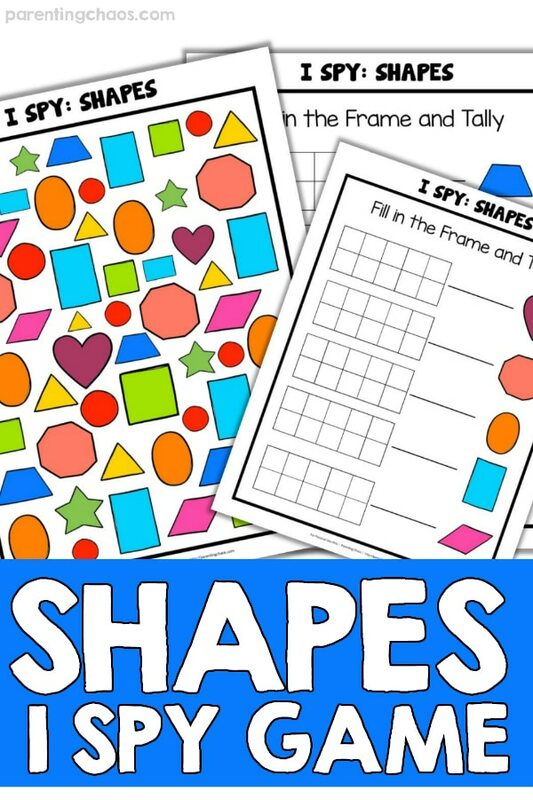 This I Spy Printable is a fun way to start discussing the different shapes! Note: If you plan on using these more than once I would suggest laminating your pages or using this trick. 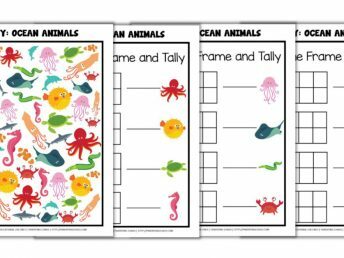 In the packet kids are provided an area to fill in the tens frame and tally. Definitely get creative here! We tried were having kids draw the shape in each box as they filled out the tens frame. You could also use 3D shape manipulatives to help your child start making connections between 2D and 3D shapes. Think outside the box and have fun! Want More I Spy Games? 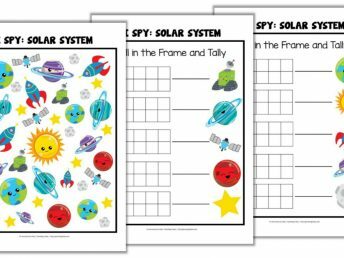 Grab Our Growing Printable I Spy Bundle Here! And if you aren’t printing off this I Spy Shapes Game right this second then pin this post so you can easily find it later!